Get instant access to exclusive perks, discounts, and one-of-a-kind experiences when you sign up for the Loyalty Program at The Heathman Lodge. 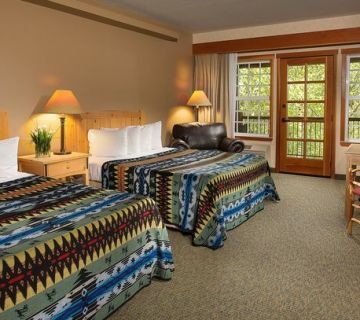 Your loyalty to the rustic luxury of the Pacific Northwest's preeminent lodge deserves a good deal—and this is where you'll find it. Subscribe now with just your email address and receive immediate savings on luxurious stays in Vancouver, WA, plus access to member-only offers you won't find anywhere else. It's free and easy to join and, once you're in, you'll unlock exclusive rewards as our way of thanking you for making ours one of the best-rated rustic lodges in the Pacific Northwest. Don't wait to save—sign up now to receive your exclusive reward.